Just this past week Sonic was holding a fest for his 20th anniversary and to celebrate the special day, Game in Oxford Street, London were allowing the public to demo a level from the upcoming Sonic Generations game and get some goodies! Not able to get into London, no problem because the demo is available on the Xbox 360 and PS3 for the next 20 days so there’s a chance for everyone to have a crack at it. Fortunately I was able to go to the celebration at Game and download the demo from the PlayStation Network, so does Sonic Generations look to be the best in the series? Or does the blue blur get stuck in the mud once again! For those who don’t know, Sonic Generations is the latest title in the series featuring both the modern 3D Sonic from Sonic Unleashed and Colour and the classic version from the Genesis era, with the classic having been brought out in full 3D. Along with this, the game will feature levels from all the Sonic games such as Green Hill Zone in Sonic the Hedgehog, all the way up to Roof Top Run in Sonic Unleashed. See the demo in action below! As for the demo itself, it gives you the chance to play the Classic version of the Green Hill Zone in all of its updated glory. The level looks absolutely awesome in 3D and everything from the original has been retained, from the robots you would find to the fish who are always trying to bite your behind. The Original music score has been retained even that weird blur that appears under Sonic when he’s going at full speed is there, everything that you would remember from back then is shown except with the difference being that is has been upgraded to HD with awesome graphics! 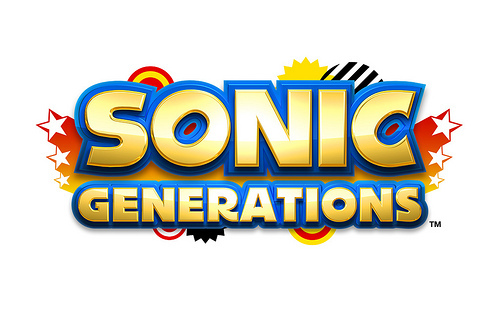 Judging from what was available, Sonic Generations does indeed look to be the best Sonic outing yet. It brings back everything that made the spiky one so appealing in the first place, also with the power of the consoles of this generation, it does make things look just that much better. The game demo looks very awesome and cool! the graphics and adventure improved already. I would like to try it out also. Looking forward for its release. Yeah definitely looks to be a solid game! Hurry and try it before time runs out!